Whether you decide to pursue a divorce (also known as “dissolution of marriage” by attorneys) or legal separation, the basis on which both will be granted are the same. In Del Mar, a dissolution or legal separation can only be obtained on the basis of “irreconcilable differences” or “incurably insanity”. In almost every case, divorce or legal separation is sought pursuant to “irreconcilable differences”. 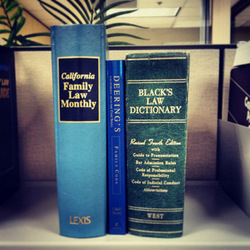 In accordance with California Family Code §2311, “irreconcilable differences” exist if there are “substantial reasons for not continuing the marriage and which make it appear the marriage should be dissolved”. This is a vague standard which is broadly interpreted by the San Diego Family Courts in divorce. Because this standard does not mention the culpability of either party in causing “irreconcilable differences,” California is known by lawyers as a “no fault” state. Additionally, as a default rule, all of the marital assets are divided equally between the parties. Therefore, regardless of any poor behavior of the parties, each will be entitled to a fifty percent distribution of the marital estate. It is important for divorce attorneys and clients to note that marital assets are only acquired between the date of marriage and the date of separation. In order for a divorce or legal separation to be granted in Del Mar based on “irreconcilable differences,” the court must be sure that, after considering all of the evidence presented, the marital differences are considerable and that no reasonable possibility of reconciliation exists. Generally, even if only one of the parties believes the marriage cannot be saved, a court will still find the marriage irretrievably broken. However, if the judge believes that reconciliation is reasonably possible, he or she must grant a 30-day continuance of the proceedings. The only other ground for divorce or legal separation is “incurable insanity”. Unlike “irreconcilable differences”, proving “incurable insanity” will likely be much more costly and difficult. In order to successfully prove “incurable insanity”, a spouse must provide medical or psychiatric evidence, in the form of expert testimony, that the other spouse is currently incurably insane and was also incurably insane at the time the petition was filed. Attorney Nancy J Bickford, Esq. is the only divorce lawyer in Del Mar representing clients, who is actively licensed as a Certified Public Accountant (CPA), and is a Certified Family Law Specialist (CFLS). Don't settle for less when determining your rights.Contact us if you would like more information about how to divorce in San Diego, are considering a legal separation, or have questions regarding division of property in divorce. Call 858-793-8884 for more information about the consultation process.